The word passport is from the 1500 French terms passer and port which means authorization to pass through a gate of a city wall. 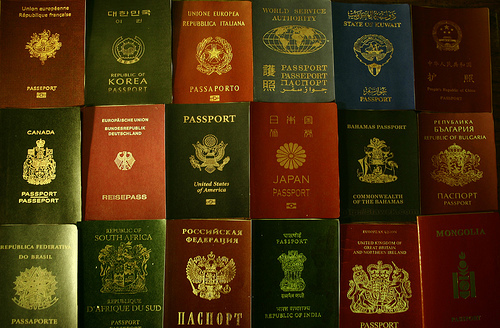 A passport helps to travel across the world and allows holders to cross borders with ease. But some are more influential than others. Financial firm Arton Capital has put together a ranking of the world’s most powerful passports which allows holders the most global mobility based on how many countries can be visited without a visa or by getting one upon arrival. It comes to no surprise that developed countries with advanced economies have a distinct advantage. Is it because their holders are most likely to return home? Do countries want to invite holders to visit them and conduct business in their territory? Or are they afraid of the repercussions from prohibiting these visitors? 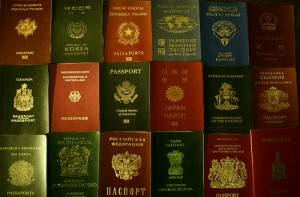 Tied for first place are U.S. and U.K. passports which give holders access to 147 countries. But the U.S. passport prohibits travel to countries they consider as states that sponsor terrorism such as Iran, North Korea, Sudan and Syria. And despite recent changes, Americans still face a lot of hurdles for travelling to Cuba. This entry was posted in International Business and tagged global, international business, passports by Michael Czinkota. Bookmark the permalink. I’m gratified by the manner in which michaelczinkota.com handles this type of subject matter. Usually to the point, often controversial, consistently well-researched and also challenging. IT6uI0 I truly appreciate this article.Much thanks again. Much obliged. 10/12/2016 I’m gratified by the manner in which michaelczinkota.com covers this kind of topic! Usually to the point, sometimes contentious, without fail well-written and more often than not quite stimulating. 10/9/2016 I’m pleased with the way that michaelczinkota.com handles this type of topic. Usually on point, sometimes contentious, without fail thoughtful and challenging. I enjoy your take on this topic and look forward to additional posts and comments here at michaelczinkota.com. Thanks! 10/4/2016 @ 14:34:46 says good work michaelczinkota.com!